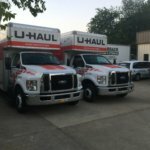 Occasionally our movers are called upon to do tasks that they are not trained to do and / or are not safe to do and / or we are not insured to do. For the information of our customers the following is a list of the things that we cannot do on moving day. MOVE EASIER. 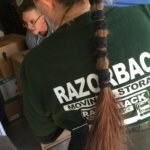 MOVE WITH RAZORBACK MOVING. Electrical: sometimes we are asked to dismantle chandeliers and/or ceiling fans and/or wall lamps from wired electrical connections in the ceiling or on the walls. We cannot do these kinds of tasks because they involve the risk of electrocution which is not covered by our corporate insurance policy. Customers should employ a licensed, trained electrician whenever dealing with electrical wiring. We realize that at times the use of an electrician can be costly, but it is the only safe way to do these kinds of tasks. Plumbing: sometimes we are called upon to remove showerheads, to disconnect and move washing machines or to disconnect icemakers in refrigerators. Sometimes rusty connections stay open and cannot be turned off and can cause flooding or water damage to a residence. These are tasks the customers should have done by a licensed plumber before moving day. We do not have the proper tools or know-how to do them correctly. Appliances: sometimes refrigerators are so big that they cannot get through a doorway or up / down a stairway without removing its doors. This is a complicated task and reassembly of the doors after the move is even worse. There are appliance repair services that will prepare a refrigerator for moving and will disassemble and reassemble it at each location. Gas connections: every so often the newspapers report a severe natural gas explosion in some person’s residence. In one instance the home owner was killed and his neighbor’s homes were badly damaged. It was determined that this was caused by the owner of the home attempting to disconnect the gas connection attached to his stove. This particular news report stated that if the atmosphere in any room is contaminated by only five percent of natural gas, that any kind of a spark (including one generated by flicking a wall switch) could set off such an explosion. 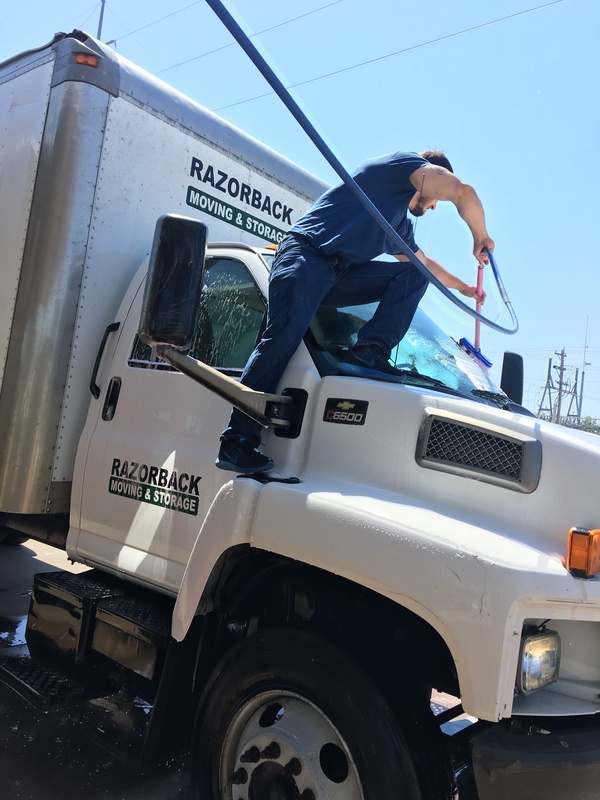 Under no circumstances will Razorback Moving Company personnel become involved in any disconnecting gas connections because of this extreme danger. It is recommended that customers contact the gas company to do this task for them. They offer an inexpensive, safe service to consumers. Gasoline: many times we are asked to move lawnmowers, small tractors, motorcycles, snow-blowers, propane tanks, etc. 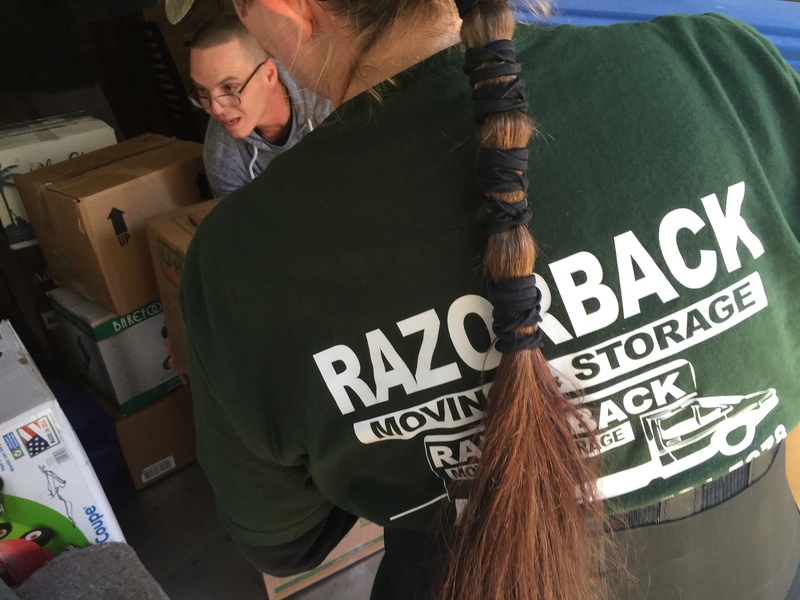 Razorback Moving Co. drivers do not have hazardous materials driver’s licensing nor will our insurances cover these flammables. We cannot transport anything with gasoline or propane tanks, even if they are empty (because of explosive fumes). Customers need to make other arrangements to transport these articles. 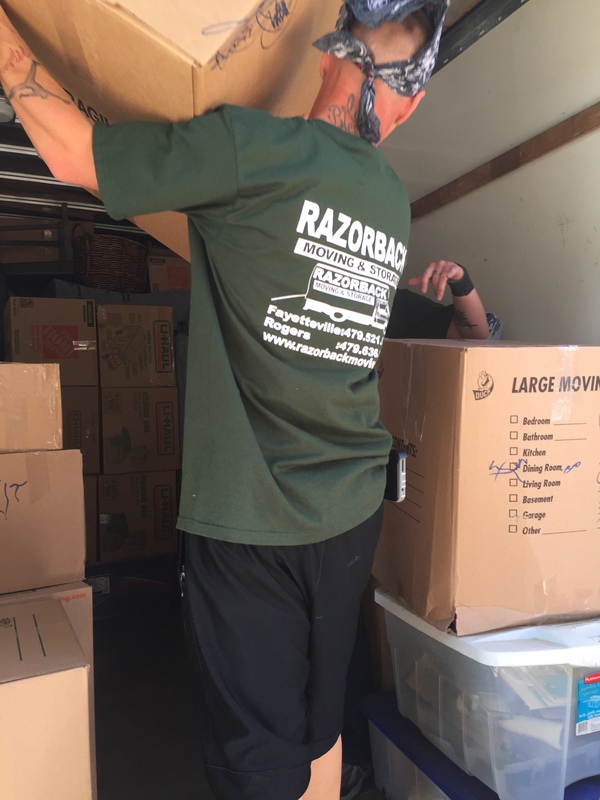 Firearms / fireworks: Razorback Moving Company moving personnel are forbidden to move or to carry customer’s firearms or ammunition or fireworks of any kind in our trucks. Again we are not insured to transport hazardous materials and we don’t have the necessary licenses for firearms or fireworks. Customers must make other arrangements to transport these items. Snow removal: in wintertime, weather conditions sometimes dictate that snow be shoveled from steps or walkways. 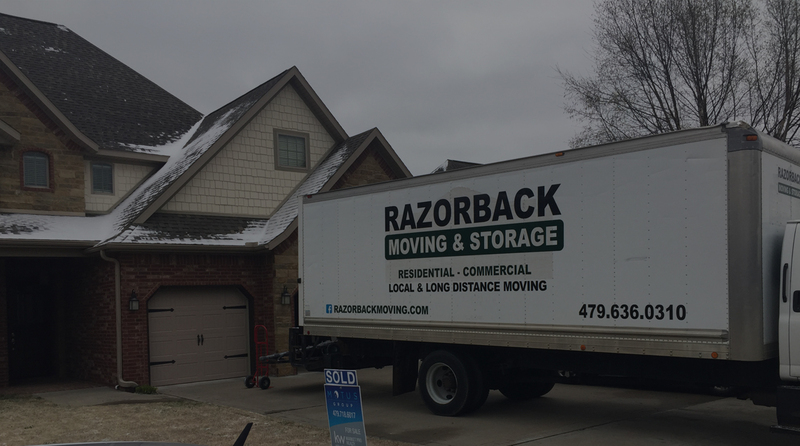 Razorback Moving Company trucks are stocked with a shovel and two canisters of salt for minor snow removal. We are not equipped for major shoveling of walks, streets and alleys. One of our employees has his own snow plow and snow-blower and for a reasonable fee he will do major work removing snow that our crews cannot do. Customers can contact us on the morning of a move that is a bad snow day and he will go immediately to the location requiring snow removal. This situation occurs once or twice a year. Normally however, on snow days our crews can clear a path for themselves with a shovel and a bit of salt. Customers can also shovel snow but please take it easy to be careful of heart attacks! Customer transport: we are not insured to transport customers in our moving vans. So we do not do so. Customers need to make arrangements to transport themselves in a timely fashion to each moving location. 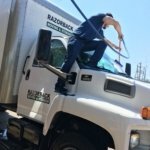 Garbage removal: occasionally a customer will request that we remove garbage from the residence for them. This is not a job that professional movers are supposed to be doing. We ask our customers to take care of this matter in some other way. 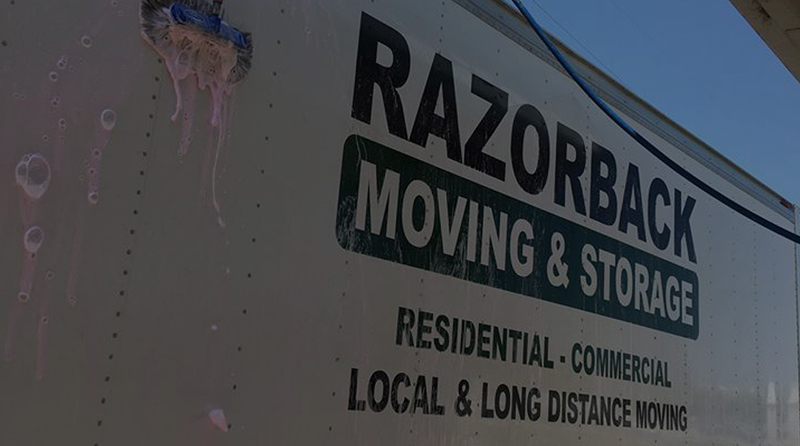 The following is a list of guidelines that we want our customers to follow when they are using Razorback Moving Company to do their move. Plastic bags / shopping bags: we do not move articles in plastic bags or shopping bags because they easily break open and spill their contents, causing damages or dirtying the articles that were inside. If customers have things in plastic bags and they can not box them for some reason, then we will place them in our wardrobe boxes (two, three or four bags at a time) to carry them. But, we won’t carry them as is. The rule of thumb is that everything that the mover is not going to pad up should be packed in cardboard boxes that are taped and sealed . Open / unsealed boxes: all boxes must be sealed with tape. Open boxes cannot be stacked and must be carried inefficiently, one and a time. Open boxes also easily spill their contents causing damages. Boxes with flaps folded but not taped also easily spill their contents. We do not move open boxes or boxes that have not been sealed with tape. We will repack them or seal them with tape before moving them. 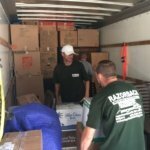 Unpacked goods: when our crew arrives at a residence and there are unpacked items to be moved we will not move them unless they are packed up right then. Either the customer can immediately pack them or we can immediately pack them using customer’s materials or or our materials (chargeable). If we have to call for materials to be brought to the job from our office, the delivery is also chargeable. 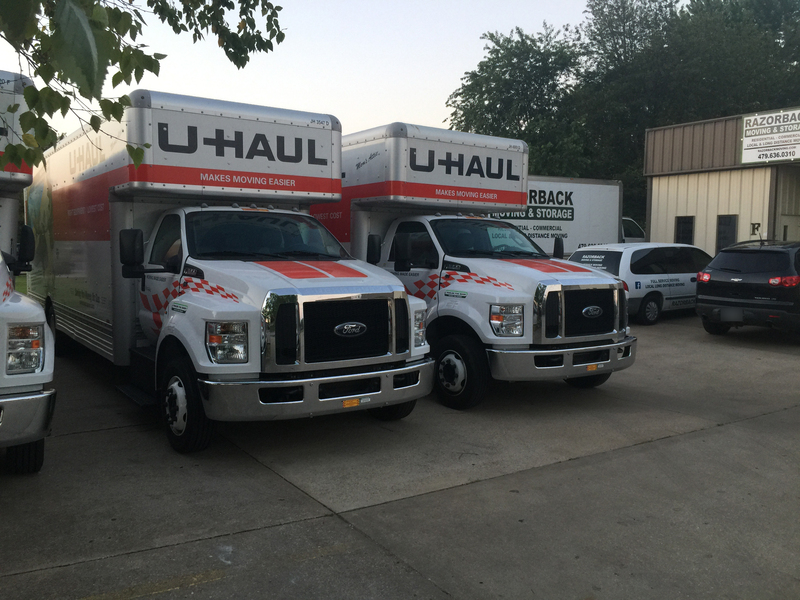 We assume that the customers who book with us will be completely packed on moving day or that they will have requested our packing services to be done before moving day. Bugs / rodents: when our crew arrives at a residence and we detect evidence that bugs or rodents are present within the residence we will not do the job. People desiring to move to extract themselves from a dwelling infested by bugs or rodents should first get an exterminator to eliminate the pests. Attempting to box up goods and seal them to escape infestation rarely works. It is best to fully exterminate before attempting to move. 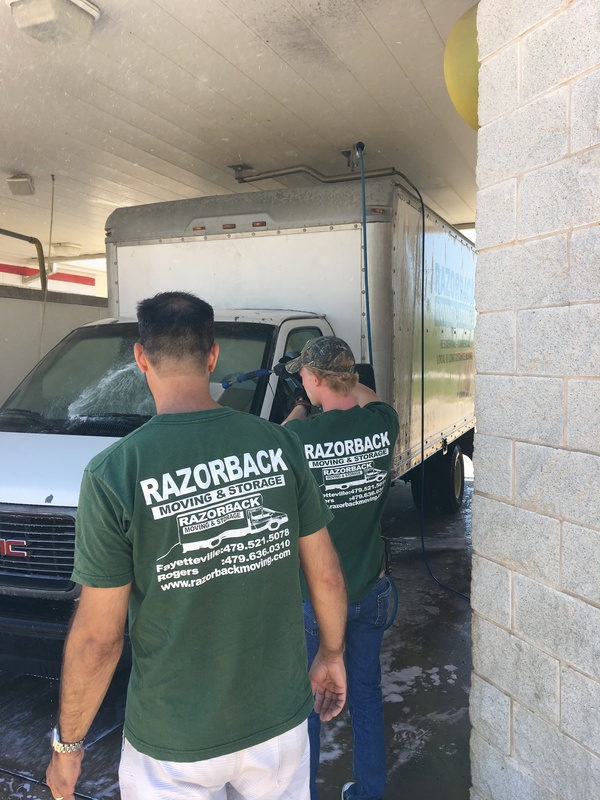 We cannot move customers whose residences are infested because the bugs or rodents could get into our trucks and be passed on to other customers. Dirty / messy residences if our crew arrives at a residence for a move that has been booked on the telephone without an estimator first eyeballing it, and that residence is filthy, dirty or extremely messy and unpacked, the crew will probably refuse to do the job. This is also true of residences where pet hair, urine or feces are present. We will not do moves under these circumstances. Pressboard furnishings: Pressboard furnishings are typically purchased unassembled and then are assembled in the residence. 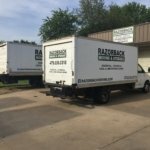 Because of the nature of this material Razorback Moving Company will not take responsibility for moving furnishings made out of it. Glue, nails and screws do not hold well in the pressboard material. Because of this, any normal moving pressures can cause them to become wobbly or unstable. Normal moving pressures can also can cause pop outs in the pressboard material near screws or nails. Pressboard is a very unstable material to move and we cannot take responsibility for it. However, we do use belts and snugly taped padding to secure each piece and keep it as stable as possible in order to try to avoid these problems. But, even that is not always enough so we cannot take any responsibility for damages to these things. 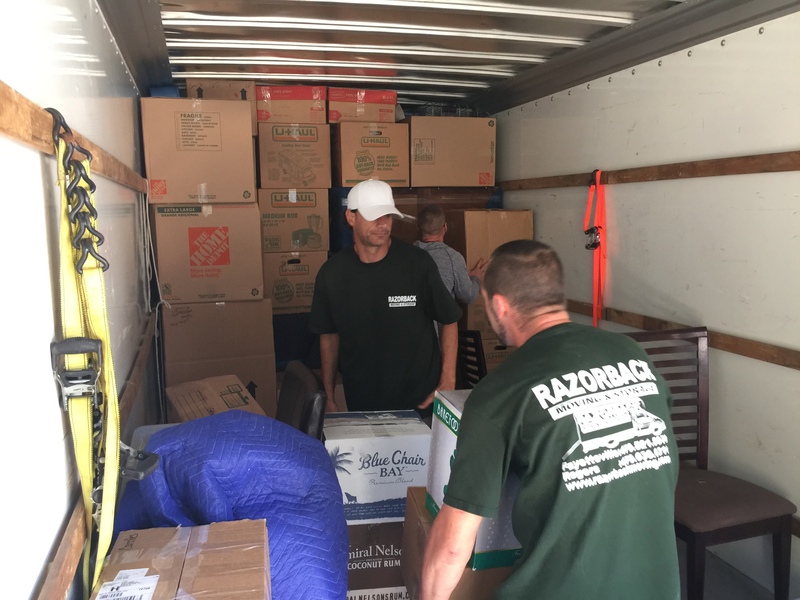 All movers in the State of Arkansas disclaim damages to pressed board / particle board / engineered wood furnishings. 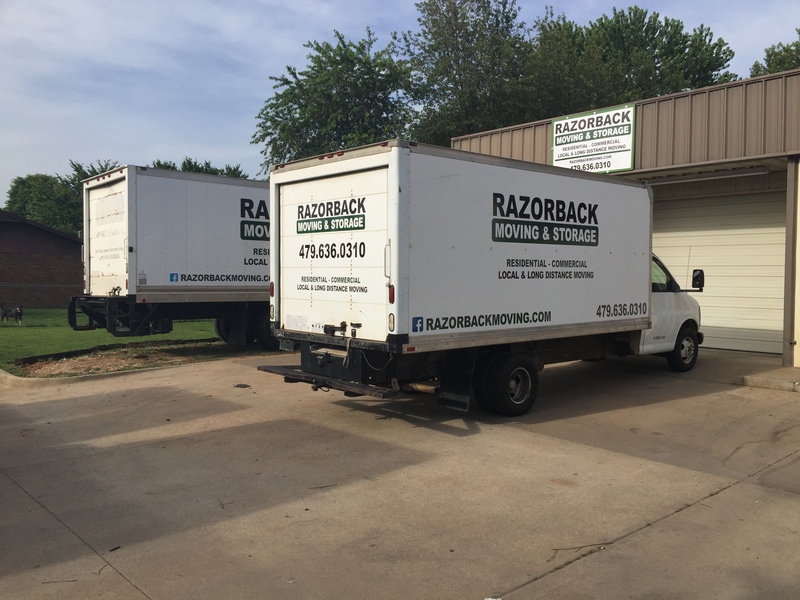 The managers and crews of Razorback Moving and Storage have years of experience in their fields of occupation. 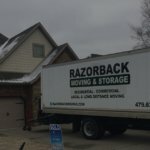 As a NWA moving company, Razorback Moving provides residential and commercial moving services within the Northwest Arkansas area. 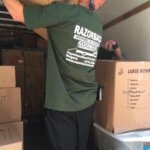 Our moving services include but are not limited to: piano moving, special moving services for students, residential moving and commercial moving, emergency moving, antique & fine art moving services, local NWA moves and innovative commercial moving services for offices, businesses, institutions, galleries, and museums. Each of our moving services includes professional packing and unpacking of your belongings by our trained movers. 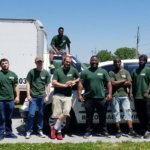 Our NWA movers will ensure that your items are properly secured in transit, and that they are transferred to your designated location in exactly the same condition of which they were received. 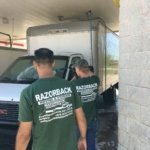 Your dedicated and trusted household movers in NWA.